FAQ: Leaving stuff out to freeze, walk-in freezers, etc: how cold and how long? So you want to de-infest a bunch of stuff, and you want to try doing it with cold? In colder climates, freezing might be a way to de-infest furniture and other belongings. Bed bugs and their eggs can be killed by very low temperatures, but it is difficult to achieve them without using a deep freezer. Temperatures below 0°F (-18 C) for one to two weeks are generally believed to be needed to reliably kill all life stages. Fluctuating winter temperatures which often extend above this level are probably less effective and are currently being studied by Dr. Steven Kells at the University of Minnesota. Overall and throughout much of the country, heating tends to be a faster, more reliable option than chilling. Your own home freezer is not going to be cold enough, and even if it was, it would have to remain closed for the duration. Relying on Mother Nature has failed for some. We’ve had some reports that “leaving things out in the snow for a month” did not work, and this is probably why. Add the fact that what you packed may insulate the bed bugs to a degree (just as a comforter can insulate them in a dryer) and you may be very disappointed. If you have access to a below O Fahrenheit (-18 C) freezer (check the temperatures), book it for two weeks. It will probably work as per Dr. Potter’s words. Be sure and let us know. Warning: I would not freeze electronic items. You can ruin the item, and you might even electrocute yourself later. If you can offer below zero degree F freezing space, feel free to leave a link to your site in the comments below. How cold does your freezer get? Do you intend to open it during the time you are freezing this stuff? How thick is the stuff? No one can tell you what will work for sure with your freezer. 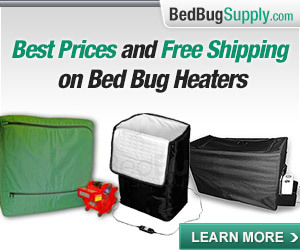 How long freezing bed bugs takes depends on these kinds of factors. (Taken from the Yahoo Bedbugger Group, click here and join to read message 3739). Your home freezer is bound to be much warmer than Lou’s professional one. Also, Lou said in another message that I can’t locate right now, that when he removed some bed bugs from the freezer after shorter period (which I think was within a day, maybe shorter), they appeared dead, and then defrosted and were still alive. Lou’s data suggests 5 days works if your freezer reaches -29 degrees (-34 C) F. But we have suggested freezing for weeks to be safer, if it does not get that cold. And freezing does not mean placing it in a freezer you use all the time. If the door is opening and shutting, the temperature will rise each time the door is opened. Some people have bought $200 box freezers to freeze important stuff. Pricey, but so is tossing shoes and important things out. Putting the stuff in and leaving it undisturbed for two weeks seems promising, but if the freezer does not stay below 0 degrees F, be warned: we really do not know how long it will take to kill bed bugs at other temperatures. Attention: the above FAQ was written before the invention of a tool which many readers will find useful. 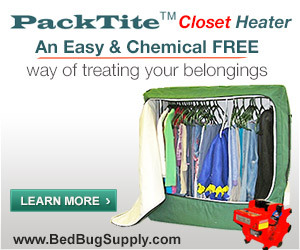 The Packtite allows people to easily use heat to remove bed bugs from items such as unwashable clothing, books, papers, shoes, etc. You can read more in the Packtite FAQ. this is cool pun intended. I especially like the part about the comfortor insulating the bug … it can crawl up into items in the center and not get AS cold as the snow. Also–the sun shines on th bag so it would have to be a white bag–not clear and not dark esp. black. 2 weeks in a sub zero freezer does seem long but I don’t think it is long enough. I’d go for three weeks–just to be sure. There is currently no definite data. Potter was really clear about speculating. I look forward to Steven Kells’s research on freezing bed bugs. I commented there, but I just wanted to say again how impressed I was by your detail! And thanks! your so very welcome–keep in mind … “fresh step” I beleive it is called, is a type of kitty litter that is extra absorbant–You could also put it into an open container in your freezer to help dehumidify the air in there some–I hope anyway. Most of this I am jut now figuring out, as we are communicating. it is or could be considered conjecture–but I say if it might work, and it won’t seem to cause more harm–Then Try it … You’ll like it. Freezing stuff FAQ updated today. $200 box freezer. How do we find out how cold it gets? Does it get to the -29 degrees and if not, how cold is “cold enough” to kill bbs? Jammin, that would vary based on the freezer, but I suspect the manufacturer would have information for you on the temperature and you could verify it with your own thermometer. I doubt a cheap freezer would go to -29F. Dr. Potter suggests 0F for two weeks would probably work. Temperatures should not fluctuate–meaning, you can’t open the freezer door. You can click the link in the post above to see the rest of his information. I personally would try this, but it would be a long project of freezing bagged items in batches for two weeks each at 0F or below. If the freezer did not get that low, I’d consider returning it. But even at 0 for 2 weeks, this is not definitive data. I would not shell out $200 unless I was pretty sure I would like to have the freezer anyway, since it might not work. It would be good to have further research done in this area, using less sophisticated freezers than the one Lou has in his office. I will ask if he can help with that. Thanks, Nobugs! But, you said freezing bagged items. Why would the items hafta be bagged? To prevent frostbite and thereby damaging items? I would think that the bag would act as an insulator. If the freezer is at a temperature of 0, the stuff in the bag may be warmer. Also, if the freezer is frost-free or not depends on the temperature. If a freezer has a lotta ice in it, does the temperature go down or up based on the ice? These are all variables in considering temperature factors, I think. 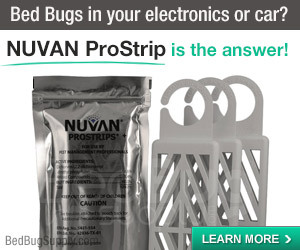 I would bag it to protect items (though some might still be damaged–I would not freeze electronics), and also because I am imagining the bed bug’s first urge when placed in the freezer would be to try and get out. (I don’t think it would get out, but I doubt you want bed bugs lodged in various cracks in the freezer’s structure). I think the items the bed bug is possibly IN, like leather jackets, shoes, handbags, or books, will act as an insulator. This is why you need to leave it undisturbed for a long time. My limited understanding of freezers is that they work better (and I think produce less frost) when full. But I think if the manufactuer tells you the freezer hits a certain temperature if used in a certain way, and you use it in that way, then it should be that temperature. Been reading through the site and have got helpgul information. So I successfully got the bed bugs out of my bed room by doing some seep intense cleaning and doing the bed covering thing. But I have one more problem. How in the world do I get them out of my new recliner? and my sofa? My recliner is brand new. My sofa if I cannot get them out I am willing to throw away had for 4 years nows, but teh recliner I don’t want to part with. Would you igf you paid $600.00 I cannot leave the furniture out in the sun to kill them or freeze the furniture. Has anyone had any success stories regarding cloth fruniture? PLEASE PLEASE PLEASE I NEED HELP! I read through the blogs to try to find answers but couldn’t find the answer I exactly needed. Unfortunately, pooey, you need professional help. It is possible in most cases to treat furniture, but very difficult. What’s more, you should not assume you got all of the bed bugs out of your bedroom by cleaning (even intensely). If I were you, I would get a professional in to treat ASAP. If you are a tenant, the landlord may be responsible for paying (we have a FAQ on that). If you have more questions, come to the forums (blue button at top right). I spoke to Joel at Assured Environments today. (They are an NYC PCO.) He said he and his colleagues caughts some bed bugs, put them in a container of water, froze the containers to solid ice, thawed the ice back to water, fished out the bed bugs–and they got up and started walking around. I don’t see how this is possible but he swears it’s true. Should VHS tapes be considered potential bedbug hiding places after the infestation is discovered? If so, I will haul my collection of almost a thousand tapes to the dump. I cannot risk even a single nymph surviving to bite a friend with allergies. A great deal of time, effort and moolah [editor’s note: potentially offensive comment deleted] spent in this quest — are now to be considered for naught, according to the Department of Public Health. 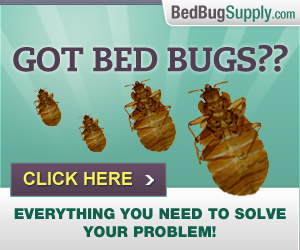 Will they also try to claim that the bedbugs are all (still, nightly) in my imagination, or somehow my own doing? It is possible for bed bugs to get into VHS tapes (they’ve been found in coffee pots, for goodness’ sake). But whether they did or not would probably depend on the size of your infestation, where the bed bugs were, and other factors. I’m sorry I do not know what else to recommend re: the health dept. except that if you find additional evidence, rather than scooping it up or cleaning it away, leave it out for the inspectors and call them in at once. I know that’s awful advice, since no one wants to let bed bugs roam, but I don’t see how you can beat this if the landlord is not pressured to take real action. My husband found a bed bug crawling next to our 1 year old son last night and I have not slept since! I have not been bitten yet though I think, in hind sight, that our son has once and possibly my husband. So I guess we now have bedbugs and I am terrified of the whole process. I got rid of our bed today because it was a platform deal and too tough to move and check. I have started washing and bagging everything in our room but will wait to do everything in our house till a professional can take a look. 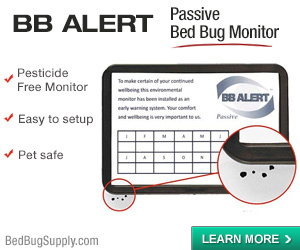 I have not found any other evidence of bed bugs except for that one. Am I just not looking hard enough? A. has anyone used the freezer method here in NYC/Brooklyn for non clothing items and if so do you recommend it and have a contact to share? B. I have lots of plants in the bedroom and rest of the apt. Do I need to get rid of them? C. Does anyone have any advice regarding kids and bed bugs? Such as what to do with toys and how can I protect him from the chemicals short of sending him away with a few zip lock bags to a relative for a month. The cold storage facility idea is a good one IF you can ensure a long period of continuously cold-enough temps (per the FAQ), but I don’t have any leads. The most popular method to decontaminate non-clothing items in NYC seems to be sending items in a truck to be fumigated with vikane gas. (This can be done with everything from books to sofas); plants may need to be left out, as would food and personal care items, and some other exceptions. We have a FAQ on vikane and people in the forums are probably willing to share experiences. HOWEVER, it’s really important that a PCO ensures your home is bed bug-free before that stuff is brought back in. This can be tricky. If neighbors may have bed bugs, you are setting yourself up to repeat a costly, annoying cycle. 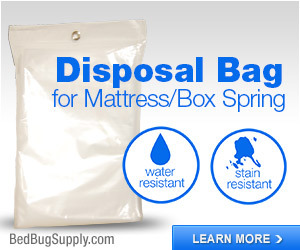 Please don’t discard anything else if you find bed bugs. 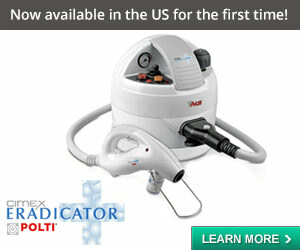 I know you want them out, now, but many PCOs will not treat without seeing bed bugs themselves. And if you’re renting under most circumstances in NYC, your landlord is liable for treatment and will require the same proof (was would 311 if the landlord does not comply). Also, some PCOs will use steam to treat a home, esp. if there’s a child under 1 at home. In any case, an experienced pro should be able to treat you safely with a child in the home. Any more info on VHS tapes? Should I throw my hundreds in the dumpster?? What about DVD’s? There are different approaches to de-bugging stuff like this. 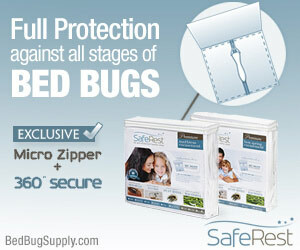 Have you actually inspected the tapes and found bed bugs harboring in them? Has your PCO made any suggestions? DVDs are actually easier than tapes: they can be gently washed in soap and water (Netflix even tells customers to do this when a DVD skips). The cases are more of a problem. Discarding them, and washing the DVDs and placing them in a new CD holder or new cases might be an option (and I’d bag those, if I knew them to be 100% bed bug-free, until treatment was completely done). Had a case of bedbugs, luckiliy discovered early. Think they came in on NEW furniture that may have come into contact with already infested furniture on delivery van…not sure. First night, I had at least 8 totally itchy bites. Worked fast and hard to get rid of them, had to throw lots out, inc three beds. Used chemicals, DE, lots of laundering,caulked until sore, etc etc. I see no evidence of them. 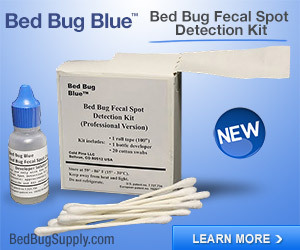 No skins, droppings and we do check regularly. Now to the question: I still am sleeping on couch, do not have the nerve to return to my bed yet, even though its brand new! I have suffered a bite here and there but not sure they’re bedbugs because they do not itch at all! Suggestions and/or comments please. Is it possible they could still be here after everything we’ve done and all that is new? Thanks much! My understanding is that it is not just how cold it gets, but how long it stays that cold. Fluctuating temperatures in the course of a day (from the warmer parts of the day to the coldest) might mean this does not work well. 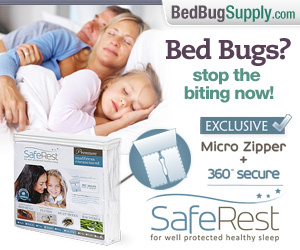 Still, I suppose it can’t hurt, as long as you understand items may not be bed bug free. As my tag suggests, I also reside in Winnipeg, Canada, and can certify that the average daytime winter temperature is certainly frigid enough to kill most anything given enough time (which is apparently still up for debate in the bb case). In January, 2007, I witnessed 6 adult bed bugs placed inside a prescription bottle and then buried in a snow bank for 7 consecutive days at a continuous average temperature of approx. – 5 c, and much colder at night. Forgive my math, but that’s about 24 f in the daytime. I’m not a scientist but that’s not cold enough in my mind for bugs that seem to partake in some form of “biological shutdown, dormancy or suspended animation” if food is not readily available. As well, by placing them in snow, I may have actually protected the buggers (igloo). Bottom line of my little non-scientific experiment was the bugs came out of the snow and shook like smarties, but once left to thaw at room temperature for approx. 30 minutes, were no worse for wear. Winnipeg, or Winterpeg as it is “affectionately” known, is a mecca for its naturally occuring popsicke-like temps for the better part of 6 months, but I believe it takes the combined cooperation and efforts of the homeowner/landlord/renter, the neighbours if in an attached dwelling and the inspired and dedicated professionalism of the PCO which will make the greatest impact on a bed bug infestation. But obviously, why not take advantage of a consistent deep freezer. The problem, in my observation is that many people succesfully freeze their bugs to death only to have it re-infest because the bugs are still present inside the home/suite. Leaving it out longer will help not only by ensuring death by cold, but also giving you more time to declare a green light indoors. I have not dealt with bed bugs in my home, but I can appreciate the agony of the problem as I witness it on a daily basis in the course of work. Unfortunately, the “pestilence” may have to worsen before it gets better, as I see far too much apathy, denial and blaming for real results to take place. Sorry if I don’t sound overly optimistic, but it seems to me that it will take time to convince non-affected individuals to “feel” the psychological hazards of this problem. Public education is the first step in success. I would like to recommend “sufferers” invite “non-sufferers” to become part of the solution by engaging in the forum process and taking part in the discussion and dissemmination of issues/success stories. It is amazing how many people change their thinking when the bed bugs show up inside their doorstop! pleasegoaway, good luck in your battle and I encourage you to read these posts and apply the wisdom from those experienced. My girlfriend and I had bed bugs in the last apartment we lived in, the land lord refused to spray our place after we found out that a suite above us and a suite across the hall had bed bugs. We got them about 2/3 weeks later after we found out about the other two or atleast that is when we began to notice them. We had PCO’s in several times, I believe 4 times all together but because they did not do all the adjacent suites the bugs kept coming back. We finally decided to pick up and move, throwing out our bed, living room furniture all except for eletronics. Though we could not part with some expensive items that we had bought, so instead we ended up putting everything in cold storage. The cold storage was just a huge steel tin can that you would normally see on boats or the back of trains. We left this there for 4 months now, over the winter beginning in november and it is still there. But we are paranoid of taking our items back home, nothing has any fabric its all books, cd’s, dvd’s, tv and then wooden/maple furniture. We reached temperatures during the mid winter months of -30C to -40C consistently I would say for atleast a week or two weeks straight. Sometimes it would only be -20C but for a good 2 months I am positive we were below the -20C mark. Do you think it should be safe to finally bring our items back to our new suite? We know we have no bed bugs as of now and the clothes we saved have been here for some time. We are just scared of getting the bed bug infection again even though we have thousands of dollars put away in storage. I also forgot to mention, when we put all of our stuff in storage we spray’ed everything down with raid, the kind that says it will kill bed bugs and is residual up to two weeks. We did this twice when we first put them away then again two months later we went in and sprayed everything. I also just went in again two weeks ago and sprayed one more time, emptying several cans of raid trying to get it absolutely everywhere. We have brought my computer tower out so far and I bleached off all of the parts that i could, luckily Im a computer guy so i know what can be cleaned and what can not be cleaned when it comes to this. But we ofcourse are still paranoid, we had to live with the bed bugs for several months before we moved with many sleepness nights. My girlfriend even developed a bug phobia because of it and completely breaks down the instant she see’s any small bug or bug bite that closely resembles that of a bed bug. The problem with relying on natural environmental temperatures is that you can’t really be sure that the items were a certain temperature at their core, for a certain length of time. The cold temps may have done it, but the length of time can be greatly impacted, as I understand, by the amount of stuff, how it was packed, etc. And you would want consistent, solidly cold temps. Beyond that, I can’t say with any certainty that this was sufficient. It may have worked. I put much LESS stock in your spraying your stuff with residuals. I would not do that. 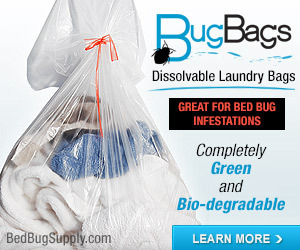 Bed bugs have to cross residuals to die. In a sealed environment, why would they move around? Also, it may damage your stuff. 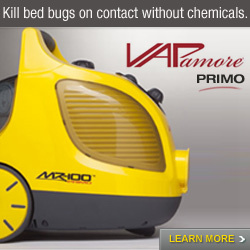 And keep in mind that many pesticides are based on pyrethroids which bed bugs often show resistance to. It’s not the insurance you’d like it to be. I also live in Winterpeg. Own an old character home in Wolsley Discovered bed bugs in my 19 y.o. daugo hter’s room about a month ago. Have had two pco treatments so far. Am not seeing any bugs and no one has been bitten for over a week. Am treating all my wooden floors and furniture with Neem oil which is supposed to repel them. Am planning to get some DE and put it in all the craacks and crevasses. Also bagged my daughter’s 10 million pairs of shoes and placed them on our front porch to freeze. Am planning to sprinkle DE in the bags and close them up again. The paranoia is driving me crazy. I strongly suggest you give this more thought and do more research. I do not know if NEEM works, but I do know it is claimed to be a repellent. 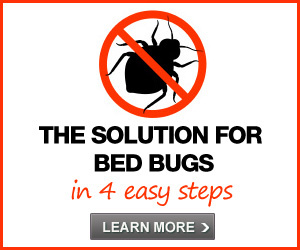 While it might seem that repelling bed bugs is a good idea, we hear it is not so. You can actually drive them deeper into your home, and they will likely reappear later. Also, you are using DE. If they do not walk through the DE, they will NOT die. IF this repellent works, you may drive them somewhere else in your home. I also would not personally use DE in bags of clothing as you describe, since it can irritate both skin and lungs, at a later date. I am not saying DE can’t ever be used safely and effectively, but you really need to know what you’re dealing with. wpgbugguy had a wise response to your other comment also, here. Please come to the forums if you want support or advice from bed bug fighters, professional and amateur. It really is much easier to have a discussion on the forum than in the comments of older blog posts, and you will likely have a much larger audience. Of course, if your comment is about what’s IN the blog posts, then by all means this is the best place for them. Isn’t the point of DE, if applied sparingly, that it’s not a repellent? I.e. if you, a human, allow yourself to be bait in the bed, and have only bedposts as access to you, you can sprinkle it (very) lightly around the bedposts and then they’d have to walk through it to get to you? Please reread the previous post by “Bedlam,” which I was responding to, and my own. DE is not a repellent, but Neem (which the OP was also talking about) is one. My point was that Neem is probably not a good idea where bed bugs are concerned, since the point is to kill them, not drive them in deeper. This comment was about Neem plus DE. DE, used properlyand safely, can work. Please read the DE FAQ for suggestions. My wife and I have been battling bb’s for the last month. Got the guy in to search and spray. Sent everything out yo dry cleaning. Washed everything. Ripped out all my wall moulding and replaced and caulked. They were gone for about a week an ahalf. Then they returned. My wife and I work at home do we’ve devised a system of three hours sleep three hrs watching. And I mean watching. They seem to just appear on the bed and attack. The other night we caught two ( after they dined) and instead of just ripping their legs off and burning them we put them in baggies and put them in the freezer. The urban legends about bedbugs help the problem. They were dead as a doornail 8 hrs later. No zombie bedbugs arose from the dead to bite again. If you work A nine to five , take your vacation and deal. Information is power. But be careful about what you read and beleive. In the post above, I quote entomologist Lou Sorkin, of the American Museum of Natural History. He does bed bug research. He placed bed bugs in his freezer at -29dF. In 4 hours, they were not dead. In 5 days they were. He has told us bed bugs may appear dead after freezing but later thaw and remain alive. I would guess Lou has a colder freezer than yours. I am glad you’ve solved your problem but I hope you’re not implying we’re spreading urban legends about “zombie bed bugs”. The time needed to kill bed bugs in a freezer will depend on the thickness of the item and the temperature of the freezer. 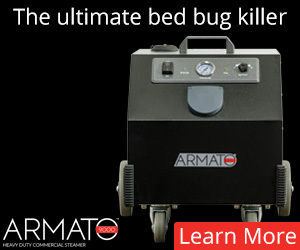 And people need to be aware that bed bugs may appear dead before they are. It is a scientific fact. There may be a cure for some who have valuables that they are not willing to part with, but are willing to pay the cost of a cryogenic treatment. We have chambers capable of reaching anywhere from ambient to -330F (-196C) that will most certainly kill most bugs. The treatment also uses liquid nitrogen so is guaranteed to permeate anywhere any bugs could hide. However, even at this temperature there are bugs that will thaw and come back to life. We have tried experiments on cockroaches where after being suspended in a -196C temperature for 24 hours the bug thawed and came back to life…they really are the most resilient creatures out there. A pest control company has come out and sprayed my home for bedbugs, and I’d like to know how soon it would be ok to put our clothes back in the dresser drawers? Also, what do I do about office papers, books, and misc. items? I bagged them up and put them outside since it’s been cold out and snowy. I thought this would kill any bugs that might be in our things. Also, I still have a mountain of clothes in bags just waiting their turn to be laundered. I don’t have time to stay on it 24/7, so I’ve just been doing it when I can. The pest guy said that’s ok, but is it really? They didn’t seem to think there was a problem with anything I did, but I keep reading things on here that make me think otherwise. I am soooo worried that they’re going to come back, too. They just sprayed yesterday and I haven’t seen ANY dead bugs at all! I vacuumed every dresser, closet, baseboard, etc. inside and out. What else can I do? I have thrown away tons of stuff, and bagged everything else. Is it almost a guarantee that they’re not gone???!!! I’m panicked. They didn’t tell me not to put the mattress covers on before they sprayed and I just read that you’re not supposed to do that, either. Please help. Btw, I threw out the couch the minute I saw the bedbug on it and also threw out the area rug that was in front of it and any blankets/pillows that were on there. I was also being bit in bed, so I threw out my box springs, but bought a mattress cover for my mattress since it’s such an expensive bed and can’t afford to buy another one like it. We just moved into this place, but I know we brought them with us because we were being bit at the other residence. When a PCO inspected at that location, he told me it wasn’t bedbugs, so I didn’t treat for it and just assumed it was spider bites. Read the FAQ above: leaving things out in the snow is not a reliable way to kill bed bugs. 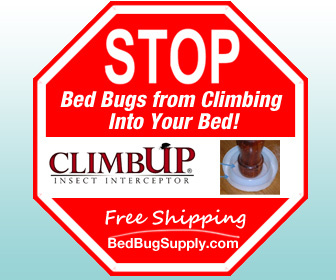 If you have encasements tested to keep bed bugs in and you do not develop tears in these, then it may be okay that they did not spray the mattresses first. Previous post: New Britain, CT: how can building managers turn a good building bad? Ignore the bed bugs.